How do I pick the right artist website? In this blog post, I’m going to break down some of the primary considerations for building an artist website. UPDATE: We surveyed 1000 artists to find out which are the most popular website builders. Check out that post here: The Ultimate Guide to Choosing an Artist Website Builder. Here, you can watch me talk through the logic in this post (mobile users click here to watch the video). There are a few things you need to consider before you ever start evaluating services, and way before you start building anything. Make a list of all of the features your website needs to have. If you aren’t sure, download our checklist by clicking here (no opt-in required). What Kind of Art Business Are You In? Selling Originals & Prints directly to collectors – in this kind of business, ecommerce becomes absolutely required. Most people are used to buying things online at this point. Make it as easy for them as possible. Check out our blog post on accepting payments online. Commissions – if you are taking commissions on a regular basis, you know what a challenge it can be to walk something through the process. Get a reference picture from them. Get a due date. Collect payment up front. Sign contracts. All of this can be done through your website with an intake form. Make sure your website provider has a form builder that will collect the info that you need. Selling through galleries – the only time, in my opinion, that an artist should not have ecommerce is if the artist is represented by a gallery that doesn’t want them to have it – and here’s the important part – that gallery is bringing in significant revenue for the artist. Don’t let a gallery dictate your business, especially if they aren’t doing anything for you. Making sales too hard. This goes back to ecommerce. Too many artists require things like emailing them for pricing, which means there’s delays where the collector’s enthusiasm cools. When you think you’re ready to launch your website, ask 5 friends to pretend they’re going to make a purchase and get their feedback. Poor design. Get rid of clutter. Design shouldn’t distract from your art. The primary graphics should be high-quality pictures of your work. Do your research and find some artist websites that are exciting to you, and see which elements of their designs you can emulate. Context & writing. Basic elements like sizing and medium are an absolute minimum. Giving a sentence or two about the piece, describing it and and describing a story behind the piece will help a lot. Blog posts and social media posts will also help a lot. We’ve written about this extensively here, here, and here. Let’s talk about technical skills for a moment. You absolutely do not need to know how to code to build a website. It’s helpful to know a little CSS and HTML, but if that alphabet soup scares you, no worries. If you are the type of person who likes to DIY, or you just like having the ultimate control, then you might consider WordPress. We’ve written extensively about building websites with WordPress, a free software that allows you to build your own site. There are lots of free templates that will help you get started. How to Build An Artist Website in 10 Minutes – with free themes like the one outlined here, you can get a site up and running in very little time. But you have to be comfortable with doing a lot of button pushing, as well as a lot of trial and error. For non-tech savvy artists, I estimate 20 – 40 hours to get a website that is usable. Divi Theme builder review and tutorial – there are paid themes for WordPress that make the building process easier. Many of those themes have great support and tutorials that make the process easier, cutting way down on the amount of time it takes to build a site. One of my favorites is Divi, for reasons I outline in the review. No technical skills at all? Just don’t have the time? There are dozens of website building services. TAA has done reviews of many of them. Shopify vs. Squarespace – Shopify is, as of this writing, a clear leader in the space. They have thousands of third-party integrations, making it possible to do almost anything with their sites. Combine that with phone support, you get some solid options there. We also like Squarespace for artists who want something simpler. Fine art Studios Online or FASO (in-depth review coming soon, see below). 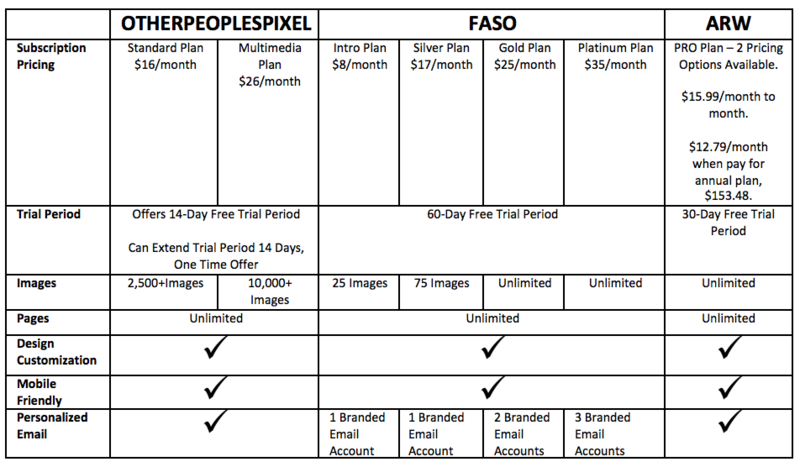 FASO is built specifically for artists, and they have awesome support as well. They have done a good job of updating their theme options for current mobile standards. We like what they’ve got going on. 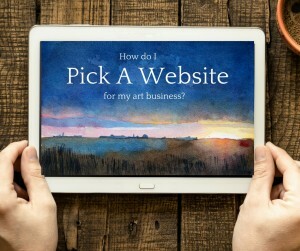 ArtStoreFronts.com review – ASF turns your website into a Print on Demand service for just your art business. ASF is expensive, and setup is not for the faint of heart, but the service is rock solid and getting better all the time. Other People’s Pixels and other artist-specific builders. There are dozens of providers. We put this chart together. 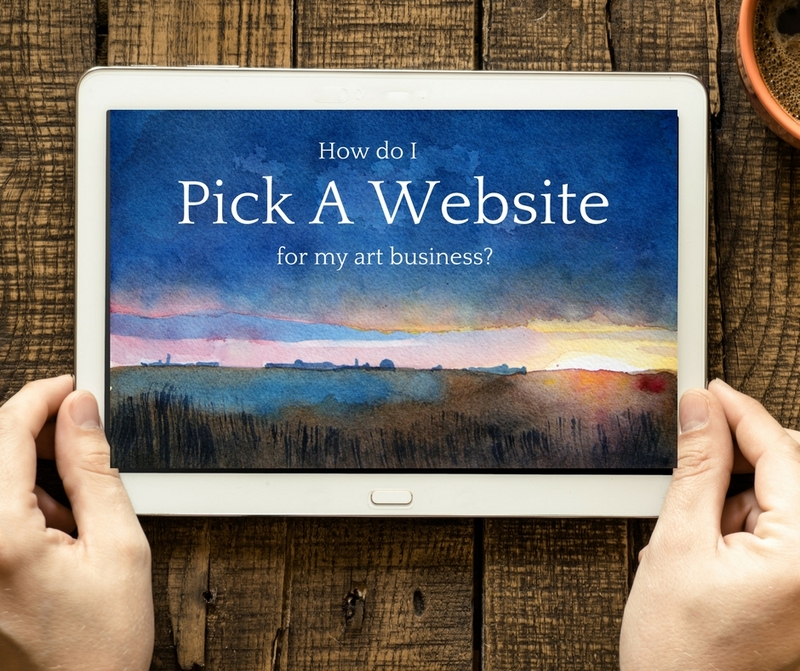 Hopefully this helps you get some clarity on what you need to do to get your artist website up and running – or increase your sales. 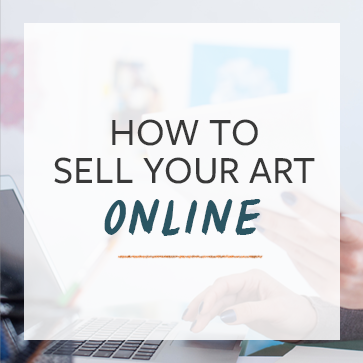 Click here to learn more about our course that will help you build your first site or make your existing site sell even more art. Thanks Cory! I love reading this. I am completely in love with FASO websites. It is such a “more me and my art” than ones I have had in the past! You have been very helpful in pushing me to do better. FASO has hosted my website for several years, now. I wouldn’t consider switching. Their templates are easy to use, their response to “Help! !” is very prompt, pleasant and thorough. They are never down. They offer a variety of ways to promote your art online, keeping new visitors coming. I believe it is valuable to have your newsletter and blog on your website, and to have your site free of outside advertising. I’ve simply never had a complaint about FASO. Great summary! Question though – the chart references “ARW” but this isn’t mentioned in the text above. What does ARW stand for? ARW = Artist Run Websites, another popular website company. Cory, this is helpful. From what I read, I eushe I had my wordpress site with FASO as I have not had time to learn to use it and have just let it go. I woul love to have a site that was easy like weebly was. Thank you so much Cory for discussing this. I’ve been shopping to switch from SquareSpace; as I need a platform that has all the necessary business components integrated. Interesting to hear your comments about FASO’s template upgrades, as the dated look I saw made me decide not to go with them. Can’t wait to hear what your review of ASF is because I’ve been in contact, had a phone interview and I’m seriously considering them as my best option to move to from SS. Thanks for sharing! I am busy setting up my new website and your info will help alot! 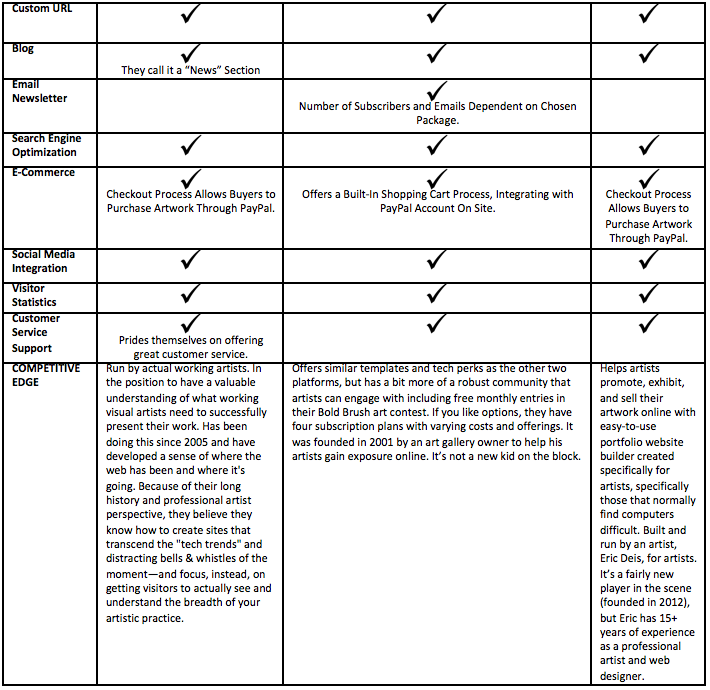 I like your chart and your checklist for an artist website. Very helpful! A friend of mine is working in a gallery and they use “Artbutler Websites”. Let’s have a look at this website: http://www.ab43contemporary.com/ – with this system also artists can create and manage their website, but I don’t have an example. Ive had my website at weebly for years. I would like to know your take on it. As i add more and more things, it seems to be getting more and more cluttered and confusing. It isnt weeblys fault. I just dont know exactly how to organize, i guess. Plus i keep having to learn things to keep up. This was a very helpful overview; thank you. Quick question: I’d like to incorporate e-commerce in my future site, however, one of the reasons I’ve heard artists use the “email for price” method is because they gradually increase their prices as they make more sales. I’m wondering if customers would be turned off if a particular work changed price, and if it’s more professional to only change the price point for future work. On the other hand, as some works sell and others don’t, a website will eventually have both older and newer work, and different price points would be confusing to customers. Any thoughts on this would be appreciated. Mary, prices change on products all of the time. I wouldn’t worry about it too much. If someone gets upset because the price changed, there’s always someone else to sell it to. If your prices go up, it means there’s demand for your art, and losing one person isn’t going to ruin you. I’m about to do a major facelift to my website, so this article was aptly timed. I use Shopify, and although there are some technical aspects that are a little challenging, I love the fact I have a platform I can show my work, have ecommerce and my blogs all available and easily accessed. Your estimate of time to build is accurate, although I had my help from someone who knows more than I do, and it still took that long. So worth it to have it done though! I like the idea of having a few people walk through the process to make sure it’s as easy as I think it is. Thanks, Cory! This is such a great blog! I completely agree that the concept of “The Starving Artist” is a myth! 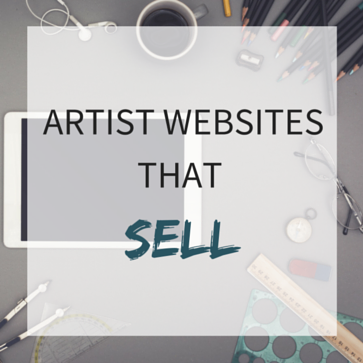 It’s also extremely important to pick the right artist website service! Another important “techie” technique to help you as an artist, and to just get noticed in general is your e-mail signature! Here’s some awesome tips for any interested artists out there! Hey Cory, I’m happy I came across your site and funny enough I ordered your book “how to sell your art online” just a few days ago. I am a photographer and have made the decision to create an e commerce site before Christmas. I usually host an open studio before the holidays, but could reach more people that aren’t local here in LA. I am about to do a walk through tutorial with the guys at Art Store Front. Are there any other e commerce sites that compete with these guys? As you mentioned in your video they are quite pricy, so curious if there are others out there that compare. I sell duplicate prints as well as limited custom built art work. I don’t necessarily need on demand printing and learned from your info that this is something I can add with certain sites. Happy to give more info if needed and thank you for your time. Hi, Would love to know what your opinion is for the new year. I currently have a half baked shopify account. Obviously the benefit of shopify is obvious but it was limiting in the way i wanted to present it (at least modifying it wasn’t as obvious as wis or squarespace) Im trying to sell originals plus ltd edition prints. My question is which platform integrates shopify better, squarespace or wix (or a third) and most importantly at least to me because I paint portraits of well known faces which offers the best marketing where I can actually add metadata easily so if someone does a search for a well known celeb my painting would come up in the google search. Im confident in my art but Ive now been struggling for over a year and its really down to me be disheartened after I set up shopify and wasn’t happy with the layout and that it seemed a real headache to get something as simple as a search engine going well. Right now I’d like to choose squarespace or wix where i can use shopifys shopping cart. thanks for your time in advance! Any thoughts on Hibu? They contacted me recently and from what it sounds like, their strength is basically being a marketing team for you -which for me and I think most artists, is what would help my business the most. Separate question, what platforms would you recommend that have a good intake form for commissions? What if I have no current income of any kind, but am still producing my art. Is there a site for me to build my own website without having to pay over 100$? Thank you. I wouldn’t trust Weebly. They used to have a security hole and may still have. When you created a user, the password was shown in clear text in the address bar! Meaning someone could EASILY sniff it and take over your account and lock you out or worse. I wrote to them about it and they tried to convince me I was wrong, but I understand internet security.